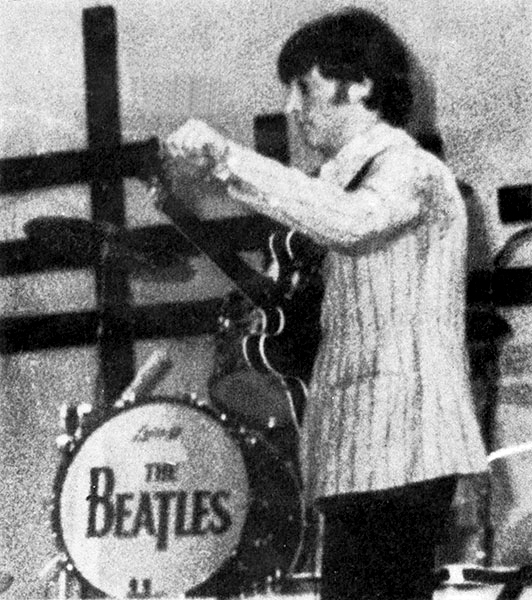 There’s a tiny bit of footage HERE showing the actual concert; when the Beatles tried to leave Manila, they were roughed up by guards who believed they had offended Imelda Marcos. The band describe how the Road Manager had to carry the amplifiers and equipment up an escalator at the airport which had been deliberately switched off. No mean feat, especially with the rare prototype super-sized cabinets the Beatles used; the difficulty of shifting them in ordinary conditions had previously been commented on (see here), so there must have been a temptation to leave the cabinets behind. It seems they got themselves and the amps out safely at least. (An undated but probably later pic on a Los-Brincos single cover could be seen as showing the Beatles proto amps and cabs safely back at Abbey Road). There was no trouble at the concert itself though, at least as far as the guards were concerned – though they did battle with the humidity and the p.a. equipment. 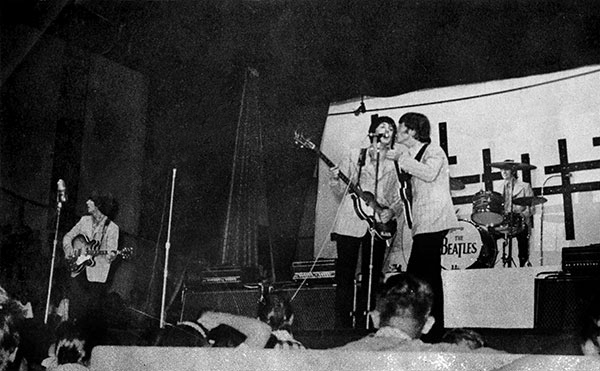 Bok Vergara, who played in the band the Black Knights, was at the Beatles concerts in Manila. “.It was so hot and humid from early dawn till around before the concert started. Personally, I thought the acts preceding the Beatles were a little boring…it was probably because I was just too anxious to see the Beatles perform. Before the evening concert, we had to replace quite a few of the sound equipment in a hurry. 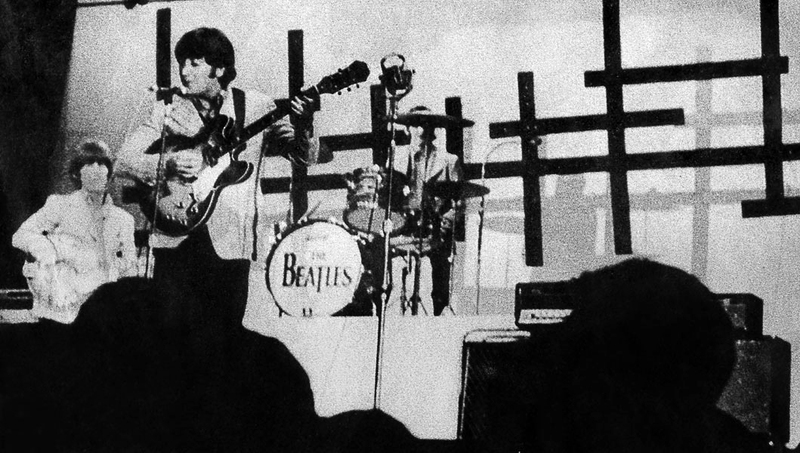 Primarily, the amps that the Beatles used were so powerful and so LOUD that the PA system got drowned out during the matinee concert. I distinctly recall that John Lennon even made a comment about it in-between songs during the matinee show.